Last month I wrote about the seemingly easy, low-cost way to start an online ecommerce operation. This month’s Enlisted to Entrepreneur column will cover the “how to” of setting up and making Dropshipping work for you. Warning: This is not the complete everything you need to know about dropshipping. This is a taste of getting into the game. There are tons of tutorials and educational docs on the web. – DO YOUR HOMEWORK! Just because you’re crazy about the show Mayans Motorcycle Club, it doesn’t mean you should sell groovy aftermarket motorcycle parts, no matter how obsessed you are with it. Picking the right niche (aka products) is probably the singular most important decision you will make. And this is where many aspiring ecommerce entrepreneurs fail. Fortunately, there is a mountain of research, advice, and aids to help you determine what you should sell. • Are other sites making money from it (competition is a good thing)? • Can you sell it on FaceBook? • Is there a perceived value for the products? • Are these products somewhat difficult to find? What would make you special? • Is there an upward trend for these products? • Do these products interest you enough that you will enjoy marketing them? A search on Google for “Best Selling Products” will generate helpful info. YouTube has zillions of informative videos on the topic. There are even FaceBook groups on dropshipping. Stay up to date by checking on product trends. Go to www.trends.google.com to see if your product is trending up or down. You can also search by keywords using the Google Adwords Planning Tool (You must open an account, but not spend any money). Look for search terms with a high volume of searches and low competition. Generally, there are two preferred options: Shopify and WooCommerce. WooCommerce is a free eCommerce plugin that allows you to sell anything beautifully. Built to integrate seamlessly with WordPress, WooCommerce is a favorite eCommerce solution that gives both store owners and developers complete control and includes oodles of themes, built in blogging, payment processing and much more. It’s free, which is always my favorite option. Shopify is an extremely popular platform with all the bells and whistles built in for you. It offers online retailers a suite of services including payments, marketing, shipping and customer engagement tools to simplify the process of running an online store for small merchants. Only problem: $29/mon You can search for other platforms, but these are the two I think are worthy of your consideration. You can sell on Amazon, eBay or Etsy as well. And now, it gets interesting. You want to look for “dropshippers,” as opposed to manufacturers or wholesalers. With a dropshipper the cost per item may be slightly higher, but you can order low quantities or even one at a time. Your profit margin may be a little lower, but you won’t have to handle shipping. Well worth the convenience. Here’s a list of the primary drop shipping partners you might want to consider. Some of these companies give you the option to start with them and then pick a platform from within their site. Check for suppliers who enforce MAP prices which means you must sell the item at a minimum price equal or above the MAP price. Research competitor websites to determine your prices. Like any site, you must reel in customers. Here are a few recommended tactics. It is very easy to get swamped with all the info that is available. I suggest you pick one resource and stick with it. Otherwise, it’s a big, big world of dropshipping intelligence to sift through. 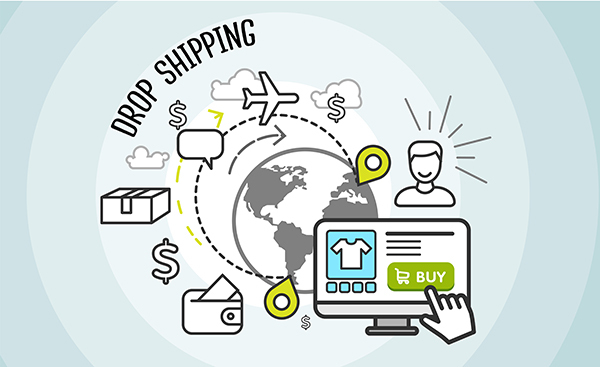 To reiterate – Dropshipping means you can sell almost any product and when your online store sells that product, you purchase the item from a third party which ships it directly to your customer. You never see or handle the product. This means you can get into selling almost any product with no big investment or physical office. Vicki is the Co-Founder of Operation Vetrepreneur & President of Marketing Impressions, a 30+ -year- old marketing consulting firm. 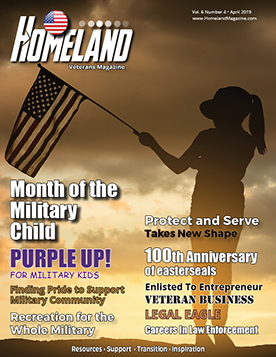 Apply to join Operation Vetrepreneur’s FREE Think Tank Groups at www.veteransinbiz.com or visit www.operationvetrepreneur.vet for more info.